Here's the official logo for the 2009 World Series, will the Phillies make a return visit? The month of June was the exact opposite for the Phillies than the month of July. This month of July saw the Phillies actually put it all together and they started to play like real World Champions. If ever there was a time to start talking about a second World Series appearance, it would be this month. The Phillies really couldn't be stopped in July. They turned into a wrecking crew that dismantled teams as they went along. As the Phillies play the last game of July, they find that they have won 19 total games and with a win on Friday night, they will set a new mark for wins in July since 1963 when they won 21 games in the month. Phillies new starter, Cliff Lee, will take the mound in San Francisco for the first time in a Phillies uniform he is wearing number 34 for the Phillies. It's a great day for the Phillies as they have welcomed last year's Cy Young Award winner for the American League onto the ballclub and onto the mound to start tonight. I watched an interview with Cliff Lee, and he is very excited to be on the Phillies and he said he hopes he can contribute to another trip into the World Series this year with the team. He went on the describe his pitching style and that he likes to come right at hitters and throw some strikes! And with his first batter he has faced in the start on Friday night, was a strikeout! Philllies get Lee, big question now where will Halladay end up? The asking price for Doc Halladay proved too much for the Phillies to bear. So the decision was made to walk away. Toronto GM, J.P. Ricciardi, wanted much more than the Phillies wanted to part with and the top Phillies brass elected to pursue Cliff Lee. With Lee now aboard, the question remains... Where will Halladay end up? If he goes to the Dodgers, you better believe this will put them in the driver's seat to make a serious run at the Phillies come playoff time. 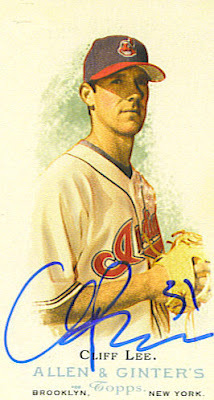 Cliff Lee had an interesting year last year with the Indians, he was partnered up with the then ace of the team, C.C. Sabathia, and still managed to go 22-9 as the number 2 starter for all of 2008. C.C. struggled and went 6-8 for the Indians, and then the Indians trade him to Milwaukee where he crashed and burned in the playoffs, but he finished the regular season 11-2 and helped the Brew Crew get in the playoffs. The Yankees come by and wave 180 million dollars in front of C.C. 's face, and he's gone off to be a Yankee. C.C. is only 10-7 in 22 starts going into tonight's play for the Yanks. Lee on the other hand is at the same 22 starts and is 7-9 for the Tribe, and gets traded off to Philadelphia still to be a free agent at the end of this season. First my question would be: Do the Phillies want to sign Lee or do they just want to put him in for the rest of the season and trade off some of their minor leaguers for him? That on the surface doesn't seem that bad, they may still make a run for Halladay after this season as he becomes a free agent in 2010 but that looks bleak at this time. The big question is does Ricciardi move Halladay like a chess piece to foil the Phillies down the road? A trade to St. Louis, or Chicago, or the LA Dodgers would give any one of those teams instant credibility to themselves as a favorite down the road. The good news is that the Phillies won last night in Arizona. Cole Hamels pitched one of those games that he would like to pitch every game out there. Hamels pitched 8.0 innings only scattering 4 hits and had 9 strikeouts. This is the Cole Hamels that is in the groove. Hamels improved to 7-5 and his ERA is 4.42. Shane Victorino led the offense last night going 3-5 with a home run. The Phillies as a team could have scored more, but only scored one runner of the 12 runners that were in scoring position. Werth, Felix, Ibanez, and Ruiz didn't have one hit combined as they were facing one of the better pitchers in the league for Arizona, Dan Haren. Haren's era is only 2.19 despite him getting the loss last night. Everything looked great until Brad Lidge came in and gave us all a scare. Lidge allowed 2 runs in the bottom of the 9th before retiring the Dbacks for the night. Lidge has a very high era of 7.11 and that is usually not a good sign for your closer to have that high of an era. So far, he is not the same pitcher as last year. He had some time off for injury earlier in the season, but is that still his problem? If I were the Phillies, I would be more than concerned at this point that 'the closer' for the team isn't really doing all that well. Despite the scare, the Phillies get the win and go for the sweep today in Arizona before moving on to San Francisco to face the Giants. They turn to J.A. Happ who is 7-1 for the Phils on the year for the potential sweep, and if he wins tonight it will be hard to part with Happ who has been mentioned in the trade rumors for Halladay. Only a couple more days left now until the deadline for that so we'll see how it shakes out by then. Join us at 6:30 pm on Thursday night for a special 'Trade Deadline' edition of Phillies Talk - The Podcast right here at this website. I used to remember as a kid when a 40 year old was pitching in a MLB game. My impression of that pitcher was that he was really old to be a pitcher. Now fast forward some 30 years into the future and when I see Jamie Moyer on the mound, I start to see things in a way different light. I remember one of the oldest pitcher’s that I recall was named Charlie Hough, and yes he was an older guy, but now that I am over 40 years old, guys like Jamie Moyer don’t really seem that old to me. He’s a pitcher that has learned to adapt to his age and skills level. He also stays in great shape. Even more important is that Jamie sees a game almost like a scientist. You see him approach a batter like a tactician, he does his homework and is a student still learning even after all those years pitching. In his post game interview last night, he spoke about making appropriate adjustments to his pitching and moving forward. He also commented on the way he started to change the angle of the ball at certain points of the game. Every few games Jamie will have a bad one, that is the way most pitchers in the league have bad games. The talk about Jamie losing his pitching skills intensifies after these losses and then Jamie goes out there and reels off a another couple of wins, and then you don’t hear anything about it. So for now, Jamie Moyer is sailing along this season with the most wins of any Phillies pitcher, call him lucky or call him the ace of the staff, Jamie is glad to be pitching for the Phillies! It couldn't have been planned any better. The Phillies sought after prize, Doc Halliday, just across the bay from his new team on the final day of the trade deadline. That's just where the two teams will happen to be this coming Friday. The Phillies will be playing the recently cooled off San Francisco Giants and the Blue Jays across the bay playing the Oakland A's. Poor JA Happ, he's having the season he's dreamed of pitching for the Phillies and now it seems as if he is the one that's been the main offering to the Jays for Halladay. The Phillies don't want to part with JA Happ and Kyle Drabeck in the same deal for Halladay but what if something else can be worked out? The Phillies seem like they want Halladay but aren't mortgaging the future on him. How about Howard for Halladay straight up? Would that be a shocker? Probably one that wouldn't happen but what if... Would the Phillies pull a shocker out of the hat like that? Is Howard on the Phillies 'untouchables list'? How about Victorino, would he be on that list? I am reaching here, but what is going to make Blue Jays GM, Ricciardi, make a deal? I can't believe the Phillies organization wouldn't deal Drabeck to hold this whole deal up, he's not Nolan Ryan for god's sake, I say deal him to get Halladay and you've got Halladay, Hamels, Moyer, Lopez and maybe Myers and Martinez soon to bolster the bullpen. I was watching MLB TV's coverage on the Halladay trade talks, and Halladay himself remains unmoved by all the attention at least from a distance. I think he would fit in greatly with the lineup in Philly, and he may be the inspiration to a lot of the current Phillies pitchers that will learn from his experience and work ethic. The Boston Red Sox are still in the hunt for Halladay, and so are the Dodgers. Roy Halladay is being dangled to teams like a big piece of steak to hungry lions. The problem is that the Blue Jays want too much in return for their prized ace and that may just be the deal breaker. If I am Halladay, I want this circus to end. The Phillies have supposedly offered deals for Halladay but all have been rejected. What more does JP Ricciardi, the Blue Jays GM, want? They supposedly had a deal offer with JA Happ and a couple of more top Phillies prospects, with some names I didn't think I would see the Phillies brass offer. This may just be speculation, but it may have some merit from what I've read. This is turning into a media circus and all indications that come from Toronto keep saying 'we don't have to deal Halladay.' Well, of course you don't have to deal him, but really you want to because he never may be more valuable than he is today for the Blue Jays. The baseball gods have weird ways in which they work, Halladay could be on the DL tomorrow and not pitch again and the Jays would have a well paid player just sitting and waiting for the end of the season and get nothing for him. Does he fit in with the Phillies? He's pitched the entire career in Toronto, and facing the NL might be good or it may be bad. You never know how a pitcher will pitch to an opposing league with guys he hasn't faced too much before if at all. Matt Garza- A proven good pitcher, a Garza for Happ deal with a player to be named later? The Phillies managed to turn it up a notch and take 2 of 3 from the Cardinals in convincing fashion. The question goes back to do the Phillies need to add anyone really? The 'Matt Holliday show' was in full swing last night for the Cardinals and he was a very important part of the Cardinals thrashing of the Phillies on Friday night. Holliday made the most of his first day with the Cardinals with 4 hits on the night. This weekend will tell a lot about the Phillies. The Phils have made quick work of lesser teams and well they should. The table changes a little with the St. Louis Cardinals in town for the weekend series. This will be a test to see what the Phillies are made of against the team that occupies first place in the NL Central. JA Happ pitched 6.0 innings and gave up 10 hits in a game that he would like to forget. Up till now, Happ has been flawless like a diamond. He shouldn't feel like he is invincible though. This is where Kyle Kendrick went astray. Kendrick started to believe the hype and in the interim lost control of his pitching and major league hitters won't let you do that and will make you pay every time. A couple of notes from the game last night. Rick Ankiel is a dangerous hitter even though his average is that high this year, the Phils would do well to try to pitch around him if possible. Of course now that the Cardinals have Matt Holliday to the already potent line up of the Cards, you have to watch out for him. Holliday has been a non issue for NL teams for the most part because he's been with Oakland for the most part of 2009. He didn't do all that well in Oakland, and now the Cards have picked him up. Will the Phillies make a move of it's own with an acquisition of Halladay from Toronto? Just last week it seemed like the Phillies didn't need him, but with last night's start from Happ and Jamie Moyer's last start, you start to realize that the starting pitching is still in need of a major facelift. In this game, a prospect shouldn't be an untouchable as has been spoken about in the press with the Phillies supposedly making certain prospects 'untouchable'. The Phils must live for today, not a couple years from now when the make up of this particular Phillies team will no longer be in place. The team can't afford to stand 'pat' on this move and they need acquire someone that will be the dominent 'ace' as the Phillies don't really have one this year. 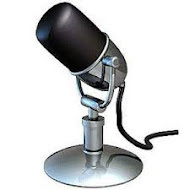 Here's tonight's edition of Phillies Talk - The Podcast. It's one of the area's longest running podcasts on sports and talking about the Philadelphia Phillies! Join Rich and Jim for tonight's show, can we go 10 in a row? A lot of people have a smile on their faces these days. It's probably because a certain baseball team is on fire and can't seem to lose. Everywhere I go, Phillies fans are gloating, they're making plans for the playoffs, and maybe the World Series. To them, I say ... "Not so fast." The Phils are having a great time on this winning streak of 9 in a row. They are on the upswing of the season but there is a long way to go. They haven't really won anything yet. Who would have thought that the Mets would be falling apart, and the Marlins would be as far back as they are at this point in the season. The most improvement by the Phillies seems to be starting pitching. The pitching and the offense are now on the same page and we're seeing some really special results. "Whether it's 10-1 or 3-2, it's only one loss," manager Lou Piniella said. "The important thing for us and Ted is he came out of this [all right] health-wise and he'll pitch better next time." "I expect to do a lot better than that," Lilly said. "That kind of effort is not going to work. It makes it awful tough on us to win games with less than four innings." Jeff Stevens (two) and Aaron Heilman (one) threw scoreless innings in relief, but Ryan Howard hit an eighth-inning homer off Angel Guzman as the entire Phillies lineup showed why they played until the end of October last year. "The lineup hasn't changed too much from the lineup that won the World Series, and they added another left-handed bat [Ibanez]," Lilly said. I am watching a game on MLB TV on the computer tonight with the Phillies rainout and it is none other than a team I think the Phillies may have a rematch with in the playoffs this year. The LA Dodgers are the team that would love to face a rematch with the Phils and reverse the terrible showing they had in last year's playoffs. The Dodgers are explosive this year, they are playing the Houston Astros tonight. The stadium sounded loud and full and of course the new 'favorite son' of the Dodgers, Manny Ramirez, was playing. Yes, the same Manny that was suspended for violating the league's substance abuse or usage policy. As Phillies fans, we know all about that with the suspension of our own JC Romero. Ed Wade's Astros are playing the game against the Dodgers, but they aren't winning tonight, even despite the play of a couple of ex-Phillies, Jason Michaels and Chris Coste. Mike Hampton just left the ball game for the 'Stros and prior to leaving, he tried to throw the ball into his own glove and was so upset, he missed his own glove by several inches and got an error in the process. I err on the side of the unknown in saying, if the Phillies make the playoffs, the most likely team the Phillies will face in the playoffs will be the Dodgers and with the signing of Pedro, the Phillies seem like they are preparing for this battle. Can you see it now? Pedro facing Manny in the playoffs... different teams but the rivalry is still there! four batters or fewer in each inning except for the 3rd… Blanton left with 1 out in the 8th with the Phils ahead, 3-1… Threw 103 pitches, 71 strikes. 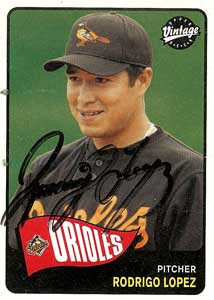  Hitting .058 (3-52), RBI, 14 SH, SF for his career. The Phillies are on the exact opposite spot of where they were about a month ago. Just a month ago, things were looking bleak for the team and there was no end in sight or an answer for why they were doing so poorly. That was then and this is now, but a lingering question from a month ago would be what happened to the Phillies then? I was listening to a few games on the radio broadcast of the games just after they came out of that slump and Larry Anderson had mentioned that it seemed like the Phillies could 'turn it on and off' when they needed to. Of course that's what it looks like, but in reality that isn't what happened. That is what is so intriguing about a baseball team during the season. Ryan Howard went 2-for-3 with his 200th career homer for the Phillies… Entering the night, Howard's career batting average after the All-Star break (.302) was 47 points higher than his career average before the break (.255)… That's the largest increase from the first half to the second half for any active player with at least 2000 career plate appearances. Here's our show taped just before the 80th All Star Game on Tuesday, July 14th 2009. 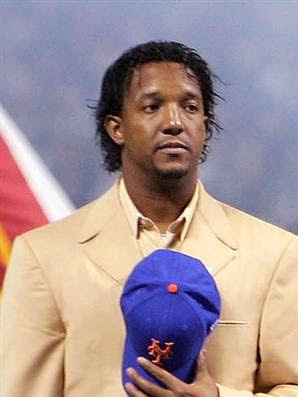 Free agent pitcher Pedro Martinez will be in Philadelphia over the all-star break for a physical. It's thought that the Phillies have agreed to terms on a one year deal with Pedro, and he will be in a Phillies' uniform for the second half of the season, pending results of the physical. This could be a good move; it really depends on how much the Phillies are giving him. Another contingency is that if he struggles and puts a constant strain on the bullpen, the Phillies need to release him. If he fails to go deep into games the bullpen will wear down over a period of time, and become fatigued come September and the postseason. The Phillies don't have to give up anything to get him though, and he is a veteran presence who knows what it takes to win. Just as long as the salary isn't ludicrous, it's a low risk, high reward situation. It will be interesting to see if the deal does become finalized, but it appears more than likely. The 80th All Star Game is about to be played in St. Louis, MO on Tuesday July 14th 2009. The All Star Game is relatively new in terms being compared to the World Series. The game originated in 1933 and by the late 1950’s the game became so popular, they started to hold two games per season that were known as the “All Star Game”. This practice only lasted 4 seasons when the two games were held, but it gave both a National League team and an American League team the chance to host the event in the same year. The first All Star Game in 1933 was held in Comiskey Park (1), which was the original ballpark with that name, and the AL was the winner over the NL that year by a score of 4-2. The game was over in a quick 2 hours and 5 minutes but the game that has become known as the “Midsummer Classic” was born and ever since then, we’ve been enjoying this game. There were two guys named ‘Lefty’ in the first All Star Game, Lefty Gomez, who started the game for the AL, and Lefty Grove who was a pitcher and got the save for the AL All Stars that year. Other players on the AL included Babe Ruth, and Lou Gehrig. For the NL stars, the names of the players included Chuck Klein, and Pie Traynor, who both went onto the Hall of Fame along with Ruth, and Gehrig. No player was named MVP of the All Star Game until 1962 when the first MVP was named. The first MVP was Maury Wills and he also shared the honors of being named MVP of the All Star Game in 1962 with Leon Wagner who was also named MVP in the second All Star Game of 1962 which was the last year the MLB held two games in the same year to be called the All Star Game. Since 1962, a piece of trivia involves the All Star Game also in regards to the MVP. Name the MVP of the 2002 All Star Game? The answer is: No one. They didn’t designate an MVP in this game as the game was suspended after 11 innings when both the NL and the AL managers convened with Bud Selig and determined they didn’t have any pitchers left to pitch and the game that was tied 7-7 into the 11th inning would be called a ‘tie’. The famous ‘tie’ game was held in Miller Park in Milwaukee. The AL has won the last 12 games of 13 of the All Star Games, of course the other game ended in a tie. This dominance by one league has not been seen since the NL was on a tear from 1972 to 1985 a span of 14 seasons in which the AL only won the game once which came in 1983. Now the game determines in which city the World Series starts in, if the AL wins it, it will start in the AL team’s home, and if the NL wins the All Star Game, the series opens in the NL home city. So that adds some importance to this game as well. This system of determining home field advantage for the World Series started in 2003 just a year after the All Star Game actually ended in a tie because no when was left to pitch in the game into the 11th inning on either team. It is a system that few fans and players actually like. Many players have railed against the system of this game actually determining home field advantage and think it shouldn’t be used for this. The old method of alternating each year between cities works better they claim. For now though, with Selig still in charge of the MLB, it remains. The 1985, the All Star Game tied in with other events such as the Home Run Derby and the All Star Game Fan Fest and other corporate sponsored events centered around the All Star Game. This has added more interest in the actual game itself on the night or day before the All Star Game and has brought a lot of interest to Major League Baseball in those events. Two ties occured in the All Star Game in 2002 and 1961 – the ‘61 game was the second ‘All Star Game’ of the season that year. The All Star Game wasn’t played in 1945 due to World War II. Thanks to Baseball-Reference.com for the stats information! I must admit, I was ready to throw in the towel on Saturday night's game with Pittsburgh. It just looked bleak going into the 9th inning. I heard Chris Wheeler say that he was surprised that Vice President Biden, who was at this game, didn't leave yet to avoid the traffic going home after the game. This turned out to be another dramatic game for the Phillies, it all started with a Matt Stairs home run. The way Stairs hit that one really reminded me of the one he hit in LA, he just trotted around the bases and was in effect telling his teammates silently, "This one isn't over yet." After Stairs went deep, Ryan Howard went deep himself and on the TV broadcast just before Howard hit the home run, Tom McCarthy was saying that Howard was seeing the ball real well tonight, then Howard smashed a long home run over the Center Field wall and tied this game with his home run. The bases then were loaded with Phillies after a Raul Ibanez double, a Jimmy Rollins walk, and a Chase Utley single. Paul Bako hit the winning base hit to single home Raul Ibanez for an exciting Phillies win 8-7 in the bottom of the 9th. I've seen the Phillies win many games like this, but each time you get goosebumps when it happens. Out of no where the offense seems to explode and the runs come flowing in like a river until the game is won usually in dramatic fashion. It was the 26th come from behind win this year. I'll be up at the game today for the possible sweep of the Pirates, this would be just great with the Phillies needing to pile up the wins at home just to get to .500 at home. 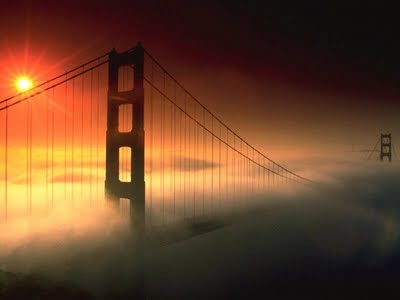 Today it will be 5-0 J.A. Happ going for the Phillies and their team of All Stars! The Phillies are 7-1 on this most recent homestand. They are making up the ground from their terrible home record that was amassed prior to this home stand. Yes, it was the Pirates tonight, no Dodgers team by any means and the Phillies on paper should beat the Pirates with their All Star stocked roster. A win is a win, no matter who it is against though and this win was Charlie’s 400th win as a Phillies manager. From Manuel’s slow start with the days of Jim Thome till now seems like a long time ago, now he is the All Star game NL Manager and the skipper of the World Champion Philadelphia Phillies. He is earning his place as perhaps one of the most beloved managers the Phillies have had in 25 years or more. This team is on a roll now, they are clicking as well as they can be at this point in the season, and it is in stark contrast to what we saw on the field just last month when a lot of people were starting to scratch their heads and wonder what was wrong with this team. Now, with the All Star break is just almost upon us, it seems the Phillies are getting stronger and looking to get even more stronger with trying to acquire ‘A’ list starting pitchers. Who said Amaro Jr. was faint of heart? He is trying to get up there in competition with the best GM’s in the business now, and with the trade deadline looming, the fans and the press are buzzing about all the possibilities of the starting pitcher addition to this already solid club. Shane Victorino, Chase Utley, and Jason Werth have been carrying this team in the last two weeks, each night it’s either one of them stepping up to the plate and dazzling us with their outstanding play. It’s no wonder all three of them will be out in St. Louis on this coming Tuesday night. Note to Chase Utley: ‘Don’t say anything with the cameras on you!’ – I don’t know if that’s possible with him, but he needs to polish his nice guy image in the major public eye. Raul Ibanez is ready to rejoin this team, and add his offensive pop to the lineup. Look out…. 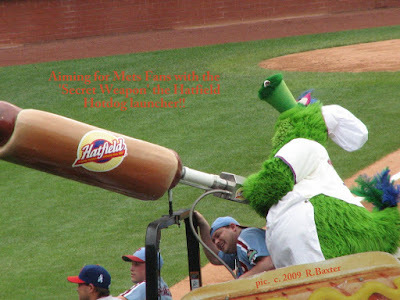 the Phillies could be heading straight into the playoffs on a rocket! "I think I've got a good chance. I've got faith in the Phillies fans"
If you consider yourself a real Phillies fan, then do your duty and vote the Flyin' Hawaiian into this year's All-Star Game. Click on the badge below to be taken to the ballot where you can vote an unlimited number of times before Thursday at 4pm. Sprint cell phone subscribers can vote for Shane by texting VOTE to 1122. Forward this email to everyone you know and GET OUT THE VOTE! 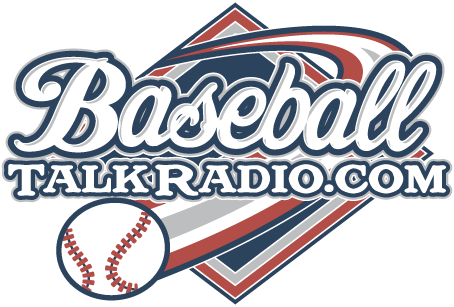 Listen here on the website when we tape the show live, or download our show via iTunes either way you're hearing the longest running podcast on the Phillies called, Phillies Talk ! The Phillies swept the Mets today, that’s the great news. In a game that looked like it could turn at any moment, the 2-0 lead held all through the game with the Phillies needing only three hits to beat the Mets today at CBP. Before the game the Phillies had a Father/Children game on the field for the families of the ballplayers. That was a nice event. It maybe helped the Phillies get a little more relaxed for the game. There is no doubt that Jimmy is back, his bat and swagger told a story over this weekend. His opening leadoff homer was just what the team needed to start this game today and though there wasn’t too many more hits in this one, it was enough to help the Phillies win today. The Phillies are again in the driver’s seat in the NL East, 42-37 or .532 for their winning percentage is enough to keep the team 1 game ahead of the Florida Marlins, and with the sweep of the Mets today saw the Amazins’ fall to a tie for third place 4 games back off the pace. The Phils welcome in the pesky Cincinnati Reds and send Cole Hamels to the mound against Johnny Cueto who is 8-4 for the Reds on Monday night. Can this win streak continue? We’ll see come Monday night. There's nothing better than July baseball with two top teams going at it to establish themselves as the division leader before the All Star break. That is just what's going on down in Philadelphia this afternoon as the Phillies look to sweep the NY Mets at home today. The first two wins were very impressive. The Phillies seemed to have pulled it all together and brought their losing streak to an abrupt halt just that fast. It was suggested by another prominent Phillies blog to go to barbeques instead of watch the Phillies this weekend, this was just plain bad advice if you're a true baseball fan. Of course the fact that the Phillies are again on a winning streak doesn't hurt matters either. The Phils are poised to do something they haven't done since June 1-3 2009 and that is a sweep. They last swept the San Diego Padres out west to start off June and now they look to do the same to the Mets in early July. 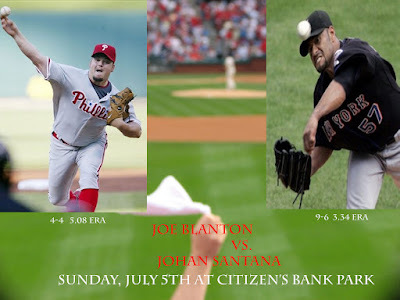 Joe Blanton gets the ball for the Phillies and he'll face the tough Johan Santana for the Mets. Rodrigo Lopez pitched last night and Phillies fans went crazy and gave him a standing ovation at the performance he turned in on Game 1 of the July 4th weekend homestand on Friday night. The Phillies brought out the offense and shelled the Mets with a spat of 3 runs in the first and then added on plenty more to put this game into the win column and give the team a much needed boost after the last two weeks of gloom. 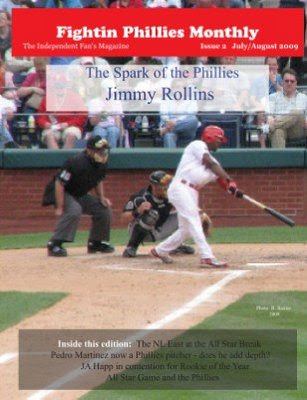 Jimmy Rollins went 2-5 with 2 RBI in this game, and he sparked the Phillies giant display of fireworks style offense on Friday night. 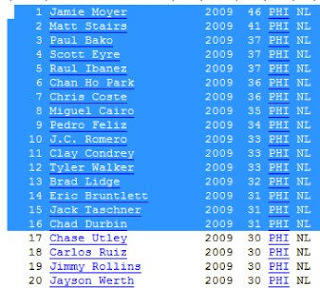 Shane Victorino had a 3-5 night for the Phils and Chase Utley went 2-4 and Jason Werth added a homerun for the Phillies. Another Jimmy Rollins note as reported by Todd Zolecki on his blog, Jimmy had some Michael Jackson songs in his corner on Friday night, he had Billie Jean and Smooth Criminal playing before he batted and this may have helped him out of the slump he has been in. Jimmy is back! Lopez gets his first win for the Phillies, he surprised all who early on suspected he may not win this game. Broadcasters on WFAN, the New York sports radio station, couldn't wait to see the Mets hit against Lopez and now the probably wish that they could take these words back. This turns out as a much needed move by the Phillies, and it's one that shows that perhaps it doesn't take going out and splashing millions of dollars out on a free agent pitcher to solve some of your pitching problems. The weekend series continues with the 4:05 PM Fox Saturday special game of the week with the Phillies and the Mets later today. Mets Fans who misbehave better watch out for the 'secret weapon' and it's not Rodrigo Lopez! At the start of this drought, I wasn't all too concerned. The Phillies were playing Interleague and the losses didn't really seem too real against teams that we hardly ever play during the regular season. Well now that relaxed feeling that I had is turning to a real concern as the Phillies are in what I hope is just a prolonged period of 'funk'. This funk continued last night as the Phillies were outplayed in Atlanta when it mattered most. The New York Mets pulled out a 10th inning win yesterday afternoon in dramatic fashion and now the Phillies return home with what appears to be a team that has come unglued. The Phillies are now just getting flat outplayed. In the field, on the bases, and at the plate, oh yes on the mound also. This team needs to start caring more, sweating more, and pulling it together more if they are going to maintain any sense of being a first place team. Yeah I know that the team is not playing well at home, but they need to pull it all together for this homestand and go out there and win some ballgames. Raul Ibanez's return should help. He has led the Phillies team offensively and when he was out of the lineup, the Phillies started piling up the losses. It's almost like he's a father figure to these guys, and since Dad's been gone the pickins has been slim as far as any one else wanting step up and take his spot as the Phillies leader. Pitching is beyond a concern at this point, Ruben Amaro Jr. should be on the phone at any available time looking for that deal, as the Phillies still continue to announce weird starters as in the guy they are sending to the hill vs. The Mets by the name of Rodrigo Lopez. No knocks against Lopez, but this is a World Series baseball team, not the Oklahoma Mudcats that he'll be pitching for on Friday night at home before a packed house. Amaro Jr., take note if this backfires the blame is going to fall on his shoulders! The press and the fans will be up in arms at this move which really comes out of no where. I can understand bringing up a prospect from the minors but Lopez? This makes no sense at all. NY Mets fans are literally having fits over this move. I hope it proves me all wrong. I won't even recap this past two weeks, as the red ink from losing would just make this post look sick. The Phillies haven't seen a prolonged losing streak like this one in the past two weeks. They are 2-5 in their last 7 games and they are 14-9 during day games and 25-27 at night. Enough talk about how bad the sweeps were, all the "O"-fers by any player, it's all history. The team is still in first place, in a tie with the Marlins now, the team should step up and put it to the Mets and let them know this will be their division. Another ballclub has climbed back into the picture, the pesky Marlins are again making their presence known but this month they'll play the Phillies, Dodgers, and Atlanta, so they better be ready for that lineup of teams. 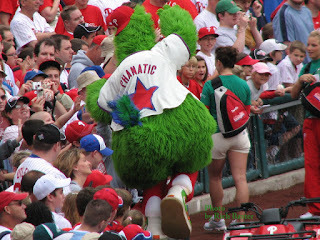 Bring it on Mets, were gonna take you to baseball school this weekend at CBP! This weekend series with the Mets is one that the NY fans can't wait for. I heard the NY sports radio this afternoon before the Mets game with Pittsburgh and the announcers were salivating on facing this Phillies team that has resembled a sick whale at times. Sometimes the whale seemed like it was going to get better, and then it would look worse at times. This road trip and previous home stand has seen the Phillies look about as bad as they could look in two weeks time. From all of this negativity, is there any good that can happen over it all? Of course there is! The team can start pitching again and the hitters can return to the lineup this weekend and all is forgotten. If anything this is a weekend that may tell a story at which direction the Phils may be headed in after the break. Here's the podcast recorded tonight, for July 1st 2009 - Phillies go to Atlanta! Recorded live coast to coast on the internet - download us on iTunes and take us along for the ride.